Oak Ridge Waste specializes in both residential and commercial waste services, and provides New Canaan trash company services that are absolutely needed to keep the area clean. We are proud to be the professionals in New Canaan who can be trusted and relied upon for affordable and efficient trash and recycling pickup. We can deliver a dumpster the same day you request it, and we carefully place the dumpster in the location you would prefer. For that or any other commercial trash service you need, please contact us today! New Canaan, Connecticut is located eight miles from Stamford. New Canaan is one of the wealthiest cities in the United States. New Canaan was named, “The 9th Wealthiest Town in the Nation”, by CNN Money. The population for this city is 19,738. The city was incorporated in 1801, but was first settled in 1731. New Canaan is a city that holds several interesting and fun annual events. Visitors come to New Canaan just for these special dates. One of the events is the New Canaan Nature Center Fall Fair. The fair offers a variety of fun and activities. This is an excellent family friendly event as there are hay mazes, apple sling shot games, rides in the Old Faithful Antique Fire Truck, and all types of foods available. New Canaan is a great place to do some antique shopping. There are several locally owned antique shops located in downtown New Canaan. If you collect antiques, then this is the city to find unique and rare antiques. Outdoor lovers will definitely enjoy going to the Waveny Park. The park has a castle, parkland, and over three hundred acres of natural New Canaan beauty. New Canaan is a great place to visit during any time of the year. 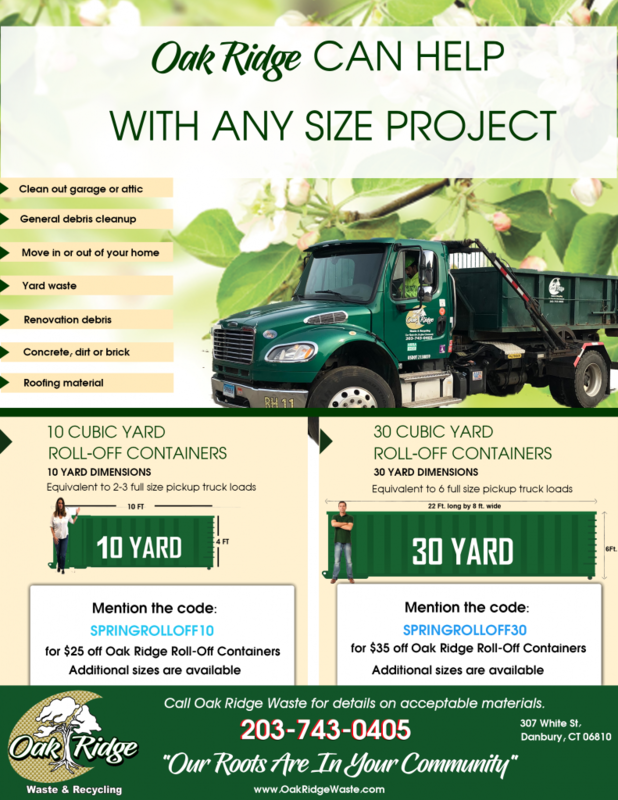 Oak Ridge Waste Waste Systems is the leading dumpster, trash, recycling, and shredding provider in New Canaan. We have been in the waste systems industry for over fifty years. We have the experience to provide our customers with the highest quality of waste services. One of our most asked service is our dumpster rentals. We offer a variety of sizes of dumpsters to meet the needs of our customers. Our dumpster rentals are affordable so if you are interested in any of our waste services, then contact Oak Ridge Waste Systems today. A television producer in New Canaan wanted to set up a small rehearsal space in his basement to encourage his daughter in her ballet practice. He needed to clear out some of the space so he could make a studio and rehearsal space for his daughter, and would need a small New Canaan roll off dumpster for the construction phase. He called Winters Bros. Waste Systems, and we were able to provide him with a proper dumpster rental that would solve all of his problems. The customer was pleased to hear that our company could provide him a roll off dumpster to hold all the junk and debris that was in his basement. As soon as the dumpster arrived the man started clearing and cleaning so he could start creating the best ballet practice studio for his daughter. Within two weeks the dedicated father had the basement cleared and the studio built. His daughter is so happy that she has her very own place to practice her ballet routines, and her dad is also happy that he could provide this for his daughter. He called us back to thank Winters Bros. Waste Systems for the best roll off dumpster service in New Canaan. He is happy, his daughter is happy, and her ballet instructor has started to see major improvement with her dancing all because of having a roll off dumpster delivered on time. It is always a pleasure for us to serve our community, and it makes it so much more satisfying to do a great job for a good cause like this one. A group of recent college grads contacted Winters Bros. Waste Systems, because the students were getting ready to leave town to go their separate ways. The newly minted bachelors had held one last summer of fun parties for their friends at the house they rented together. These nice kids had worked really hard for many years and wanted to send off their experience in style. They had rented a small house in New Canaan, and had to get rid of all their gross old college furniture. The grads knew that with the last crazy party of the summer along with all the old furniture they would need the largest dumpster rental New Canaan could offer them, so they contacted Winters Bros. Waste Systems. They knew Winters Bros. Waste Systems provides a variety of dumpster sizes to meet everyone needs and preferences after one of the bright kids remembered his father using Winters Bros. for dumpster rentals and trash services in the past. Winters Bros. Waste Systems went over the needs of the alums, and together came up with a dumpster size for them. Winters Bros. Waste Systems delivered the dumpster to the house, and let them know that anytime they were ready for a pickup all they had to do was to call and Winters Bros. would be out that day to retrieve the dumpster. The former college students held their last summer crazy party, then had a huge mess to clean. The dumpster was an excellent choice for the whole event. Winters Bros. provided the largest dumpster rental New Canaan offered, and the young men felt very lucky and glad to be able to use Winters Bros. Waste Systems’ dumpster services, because it was just what they needed. New Canaan’s Latest Winters Bros. News! 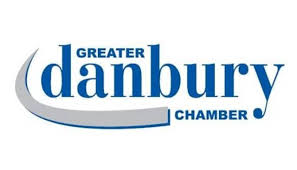 Be sure to come back for more information on garbage pickup in New Canaan and other Winters Bros. projects!